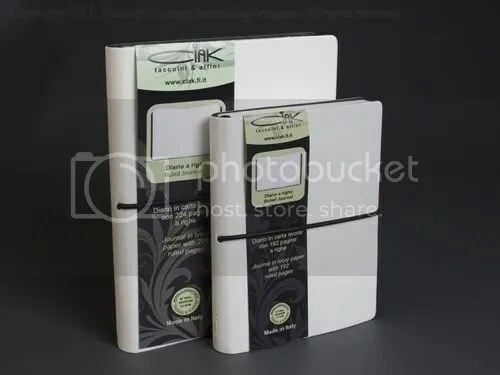 Ciak lined journals are now available in crisp white. Ciak journals are now available in a crisp, cool white in both pocket and medium sizes. Acid-free materials and modern design offer a journal that is fun and casual. The cover has the look and feel of leather but is more durable and resistant to everyday abuse. Each notebook is filled with eco-friendly, recycled, lined paper that is compatible with most pens, although the wettest fountain pens may feather or bleed. All 192 pages are acid-free to ensure years of use. Available at JournalingArts.com.